Presenting our ABS-Lock X-SW anchorage point in moving images: Watch our short product video to find out more about its most important features! This anchorage point (Ø 16 mm) for sandwich sheeting is simply installed from above using 4 special toggle bolts. The anchorage eyelet, rod and base plate (372 x 200 mm) are all manufactured completely from stainless steel material. The special toggle bolts needed are included in the package. Our ABS-Lock X-SW anchor offers you a fall arrest solution specially designed for easy installation on top of a sandwich roof. Just drill 4 holes, remove a little of the insulation material underneath the roof membrane with a screwdriver (or similar) and insert the toggle bolts. 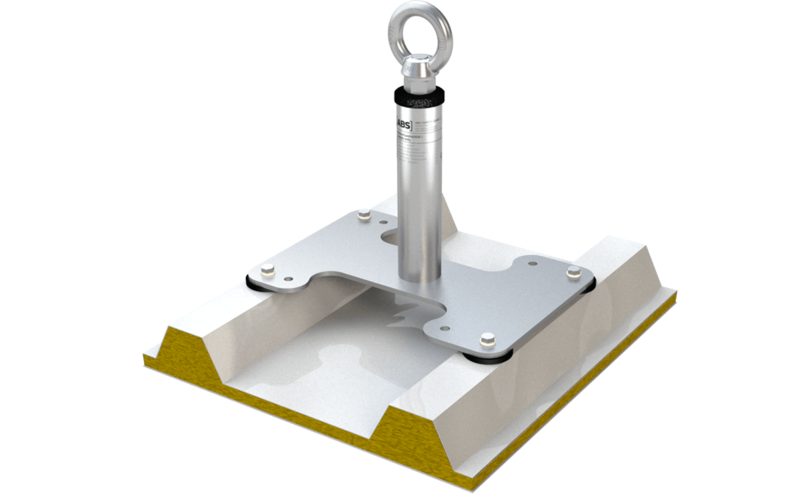 To install this anchor, all you need is a minimum sandwich profile (steel) depth of 0.5 mm. This single anchorage point copes easily with lateral loads once installed professionally. 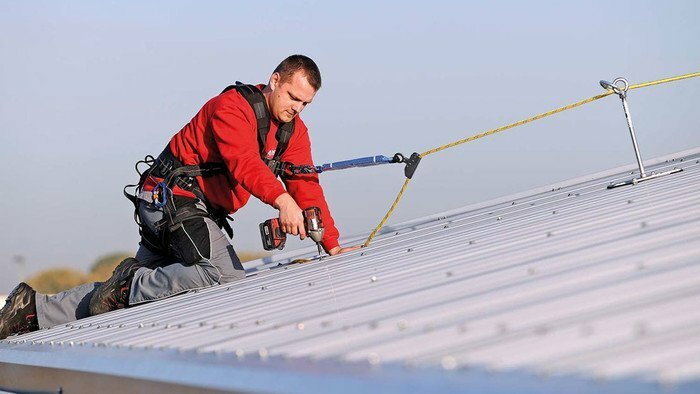 Up to 3 roof workers can hook up to the anchorage eyelet at any one time. Our ABS-Lock X-SW for sandwich profiles can also be used as a simple intermediate support in a non-traversable lifeline system without any real modifications. Or maybe you are interested in using this anchorage point as a corner element or end support? Then simply reinforce it using our optional ABS-Lock X supporting tube. 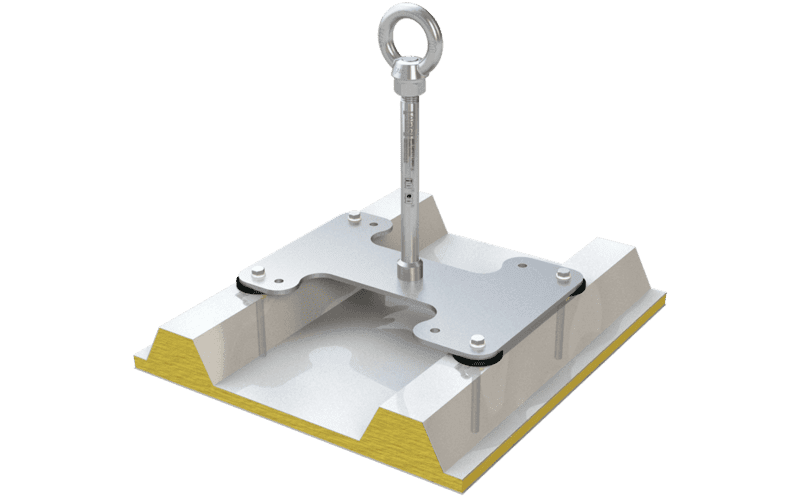 The pre-drilled holes in the ABS-Lock X-SW base plate are set at different intervals - allowing it to be installed on a variety of profiles with different seam intervals. The distance between the bores ranges from 280 mm to 333 mm.